Diane on Whidbey Island: I Feel Like a Proud Mama Part 2! I have some more photos of my patterns made up by two of my awesome customers to share with you. I love seeing these! First I have Style 115- Betty Draper's "Mad Men" red print dress. This dress was made by Linda Gallegos. I love her choice of fabric. 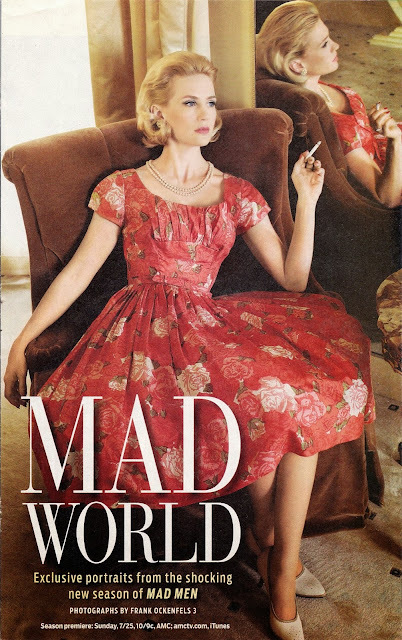 I wish I could have found fabric like this when I was making this dress. Linda says it is a soft lawn print. I think it looks a lot like the fabric in my inspiration picture. 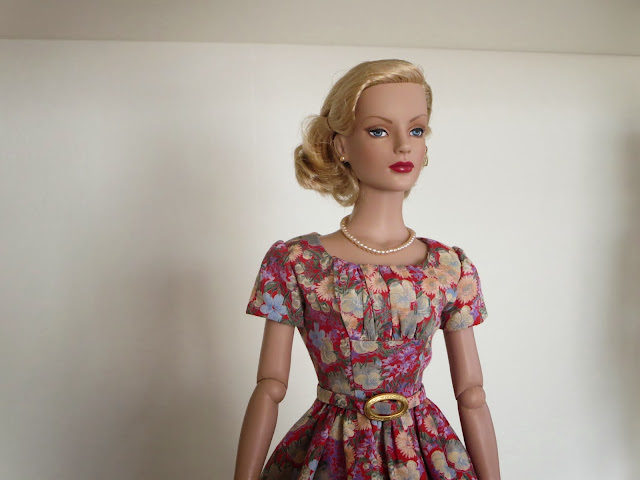 Her model is Tonner's Tres Jolie Sydney. 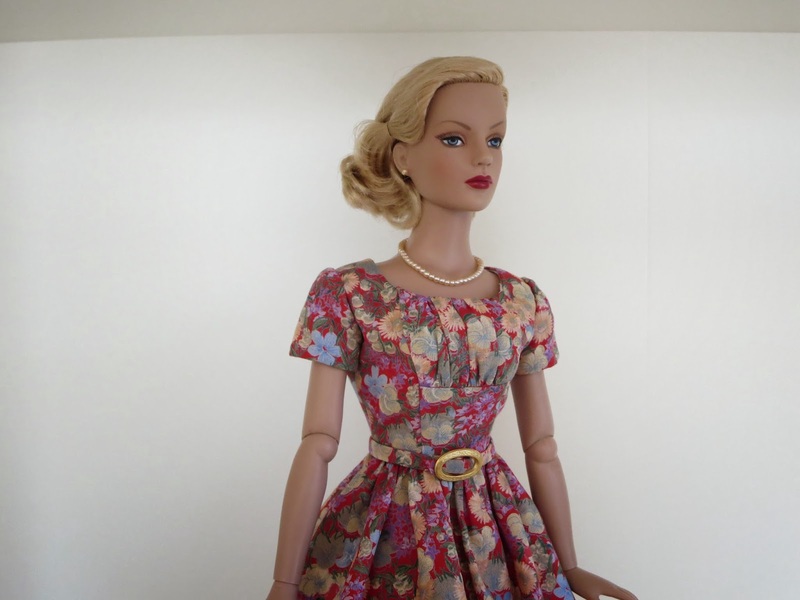 I love this doll and wish I had one. She is still a very popular Sydney, and is hard to find. 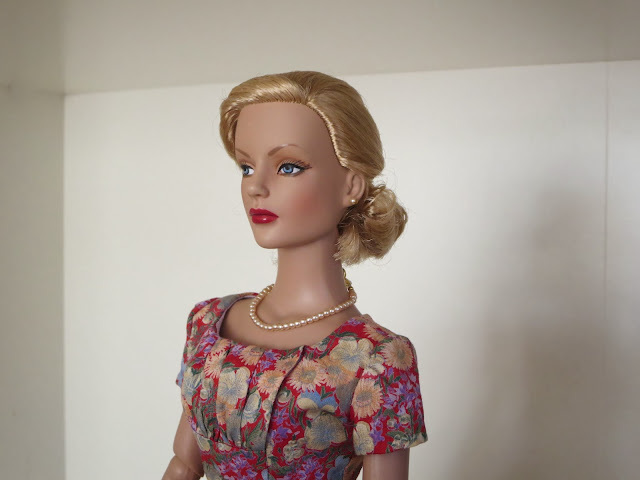 Next I would like to share Style 107 Grace Kelly's "Rear Window" green suit by Suzanne Hall. 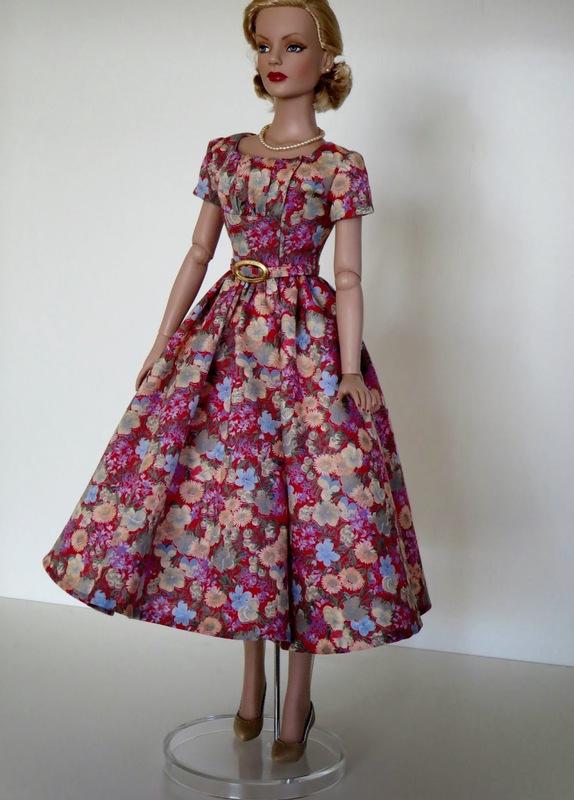 Yes my friends, that is a 12" Grace Kelly doll wearing a suit made from my pattern. 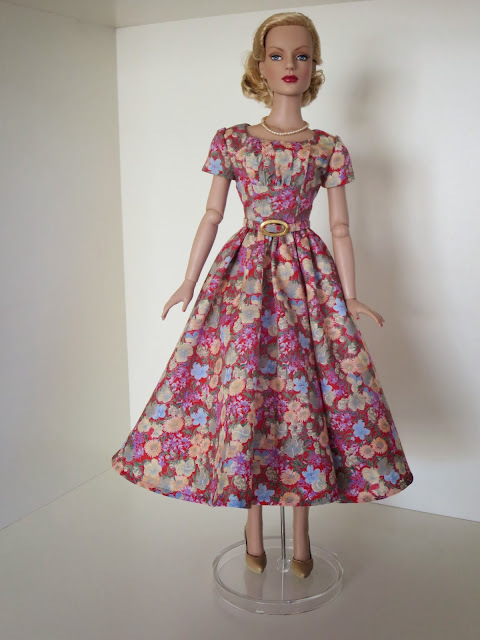 I have not gotten around to making patterns for the 12" dolls yet, but Suzanne did. This is so cool! Suzanne emailed me how she did this.